I’m guessing that not many Candlemass fans would have expected their guitar hero Lars Johansson to pop up with a down n dirty blooze album, but that’s exactly what he has done with the oddly named Fat.Mo.Mac, bringing together some of his friends to create the sort of blues that is happy to sit in the gutter looking at the stars. Good blues is often all about the guitar playing, and Johansson brought in Roger Eklov, who very sadly died of a heart attack before he could do more than a few songs. That said, instrumental track ‘Gearshifter’ is among the most impressive blues pieces I have ever heard, so he certainly went out on a high note. Elsewhere, Johansson and Klas Gunnerfeldt do themselves proud as well. 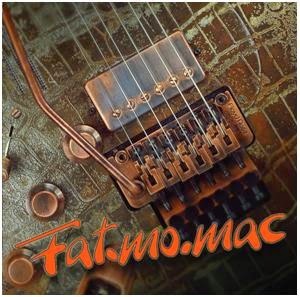 As we all know, there’s blues and there is blues, with Fat.Mo.Mac delivering old fashioned slow burners that meander along until interrupted by complicated guitar solos. This, my friends, is ‘proper’ blues, where feeling is everything. The talented Mats Leven provides throaty, angsty vocals and does a pretty cool job while he’s at it, with the whole band never in a hurry to get to the end of any song. A few songs, like the aforementioned ‘Gearshifter’ and opener ‘Walk Alone’ manage to speed things up a bit, but generally this is slow, pensive blues played by a talented bunch of musicians. Much as I appreciate the talent involved, much of what’s on offer is pretty samey, so it was pretty hard to really get into despite repeat listening. It’s one of those albums you certainly enjoy listening to but don’t remember that much about afterwards. That said, I’m sure that the listener’s level of blues tolerance will be a major factor in their enjoyment. In the end, I suggest you take a listen first, and if you like what you hear it’s pretty much guaranteed you’ll get off on the whole album.